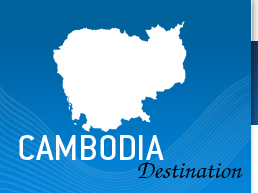 The temperature in Cambodia is similar throughout the country with the best time to visit from November to February with the peak season being around Christmas time. From the middle of February the temperature begins a gradual rise peaking around April time when temperatures can continuously be above 40º C.
The temperature then follows a similar pattern to the rest of South East Asia with the rains beginning towards the end of May and lasting till October. The rainy season sometimes can be a great time to visit especially around July when the rains tend to be in burst normally late afternoon and surrounds the countryside and the Temples of Angkor with lush green rice paddies and vegetation.